Very top end Landrace boar from the Drake herd. 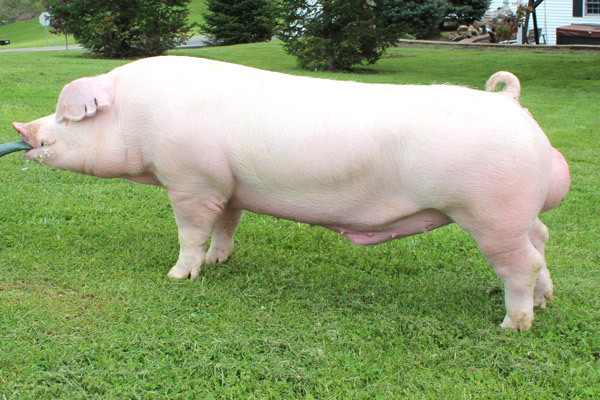 If you want to make Landrace or Landrace cross F1 females, this guy would be an excellent choice. He is backed with generations of productive females; tremendous milk flow and tremendous numbers born. He has good length, good feet and legs, good leaness and muscle. Great production.